Today begins Day 1 of a 7 day trip that will take me to three great U. S. cities! First up, New York City! It's the first day of summer and I can't think of a more perfect place to be. 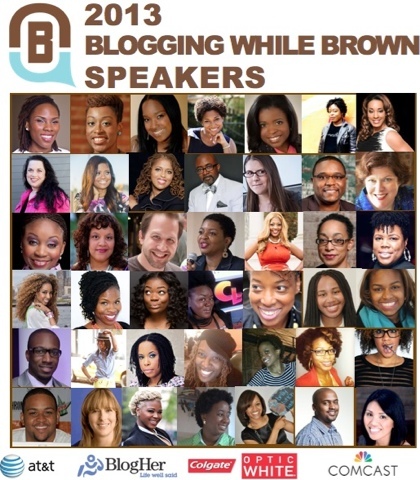 I'm here this weekend attending the 6th Annual Blogging While Brown conference in Harlem. This is my first blogging conference and I'm looking forward to connecting with over 200 African American bloggers, media professionals, brands, learning how to make my blog better and of course some parties! Sunday evening I'm riding the rails over to the 'City of Brotherly Love' -- Philadelphia. Amtrak gets me there in an hour and the ticket was only $30. Much cheaper than renting a car and dealing with gas. I've never been to Philly and since its so close to NYC I wanted to maximize my travel, smart girl right? :-) I will be staying in City Center East area and taking in some historical sites, museums and finding my way to the Liberty bell and the LOVE statue!